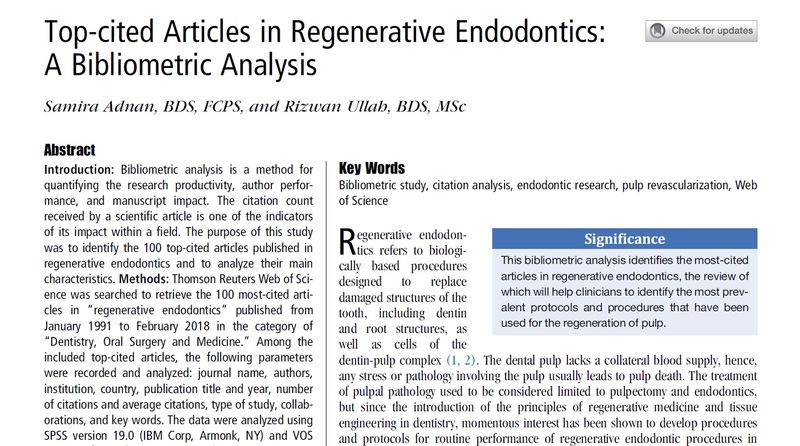 Dr. Shin's article was ranked 31st out of top 100 the most cited articles in the world regarding regenerative endodontics. The article was the first successful reported one visit pulp regeneration case in the world. 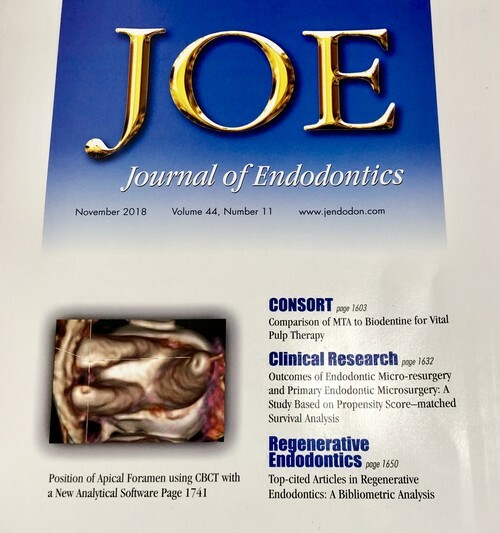 Dr. Shin published one step revascularization article (a new treatment protocol helps pus draining dead teeth to continue to grow and strengthen its roots) in renowned International Endodontic Journal and his case study made a cover page of the 2009 IEJ journal. Dr. Shin lectured about " Use of CBCT in Endodontic Practice" at DSGO CE course. 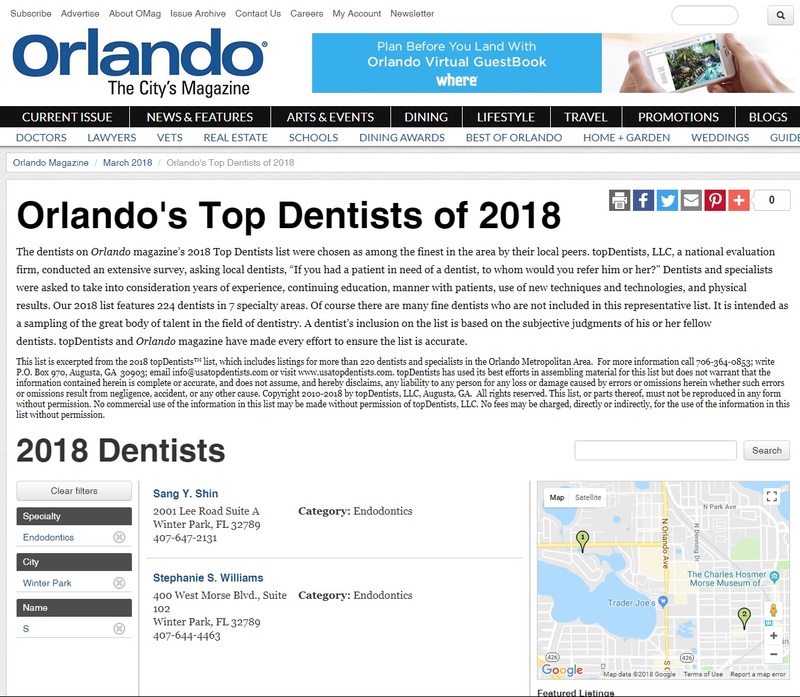 Dr. Shin was selected as Orlando's Top Dentists of 2018. 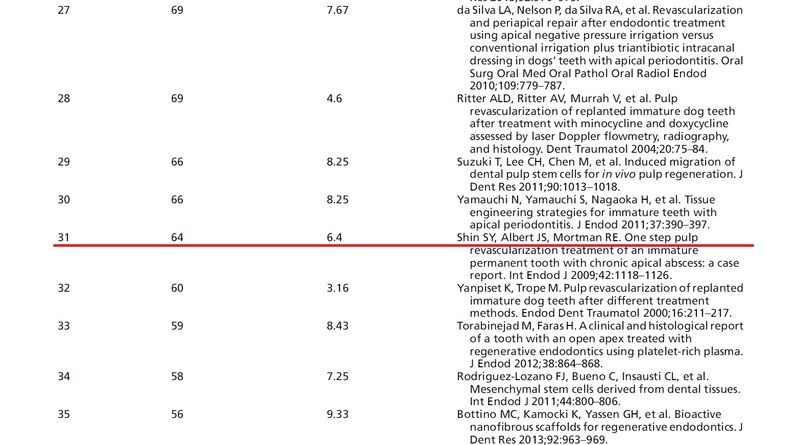 Dr. Shin’ three clinical cases were included in “Treatment Options for the Compromised Tooth Guide 2014” by AAE 2014. Dr. Shin’s three clinical cases were included in “Treatment Options for the Compromised Tooth Guide 2014” by American Association of Endodontists 2014. Dr. Shin was teaching as a co-chairman of endodontic senction at Atlantic Coast Dental Research Clinic in West Palm Beach for seven years. He taught revascularization and dental trauma lectures to general dentists for optimal handling of traumatized teeth. 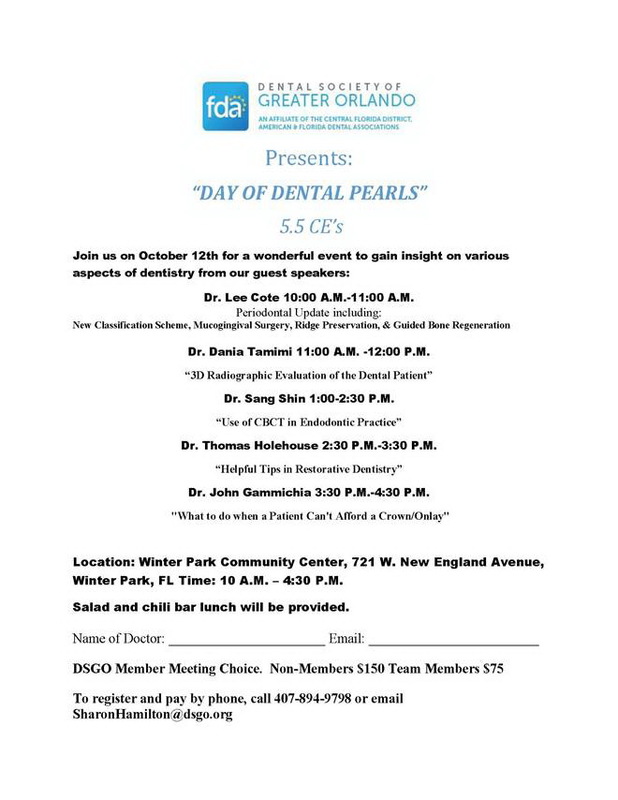 Dr. Shin has been invited to lecture on the topic of endodontics to various groups. His area of expertises include treatment of dental trauma, regenerative endodontics, and the use of CBCT in endodontics. 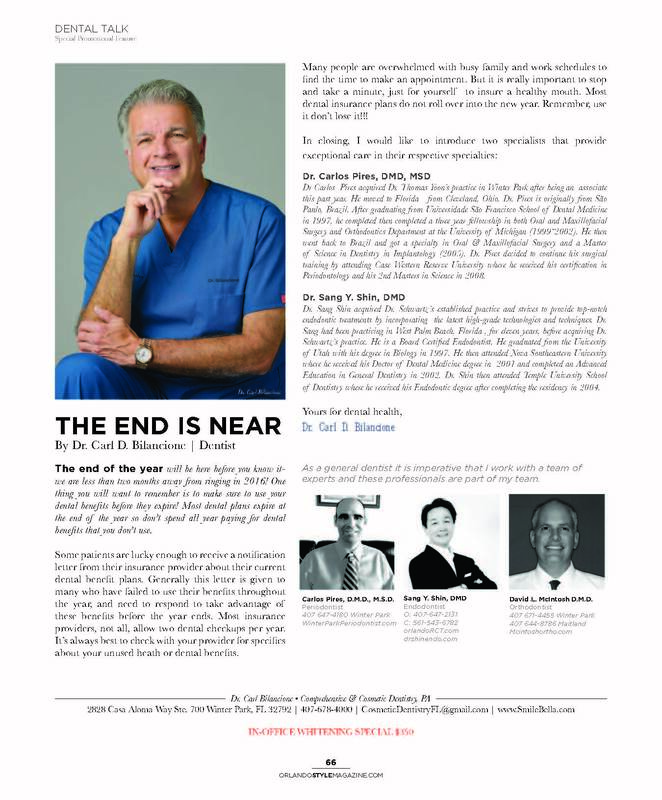 Dr. Shin was listed in Marquis Who's Who in America 2011 and Marquis Who's Who in Medicine and Health Care 2012. The dentists on Boca Life magazine’s 2011 Top Dentists list were chosen as among the finest in the south florida by their local peers. Dr. Sang Shin was listed as Top dentists 2011 in South Florida. 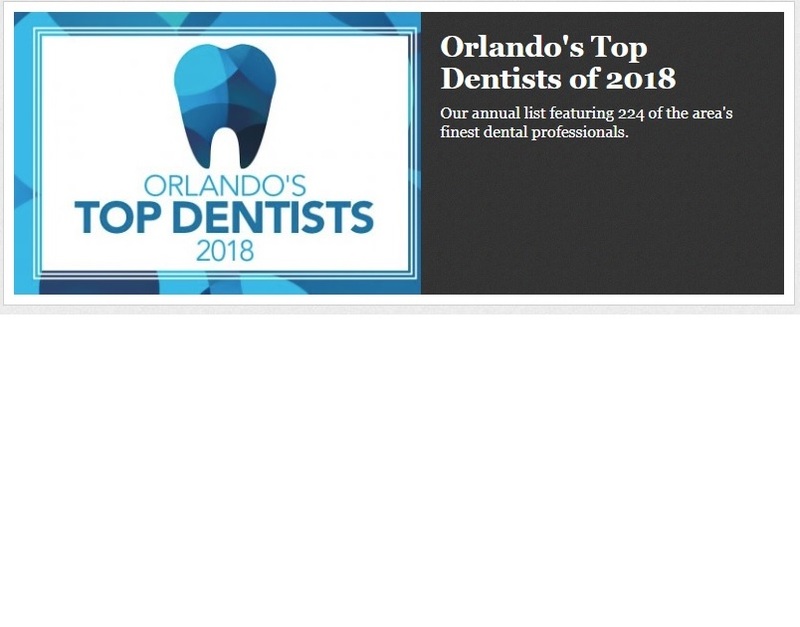 Dr. Shin volunteered in Palm Beach County dental charity program, "Save a molar" to treat underprivileged children to get pro bono root canal treatments for five years.